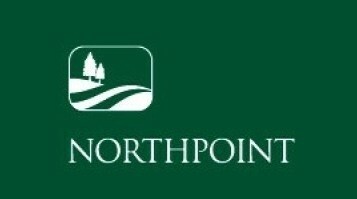 Northpoint Centre of Learning has announced the launch of a Residential Executive Program in Digital Marketing Communications titled “Leveraging The Power of Digital Communications”. This unique program has been developed, and is delivered, in partnership with major Digital & Social Media marketing companies such as Social Wavelength, AY Digital New York and Position2. Training is provided by practicing professionals who are not only most familiar with the opportunities this medium provides, but are also at the forefront of new developments in said medium, where what we have learnt today is already obsolete. This Executive Program is designed for those who have been entrusted with the responsibility of building brands and the development and implementation of online marketing strategies, including professionals in Marketing companies, Digital Agencies, Advertising Agencies, PR Agencies and Media companies, owners/senior executives with SMEs and working executives seeking a career in digital marketing. The program has been designed to help participants plan, implement, and manage a comprehensive digital marketing strategy for optimum impact and Return on Investments (ROI). The program has been structured in two modules – Module 1, scheduled from 4 to 6 October 2013, will focus on Digital Marketing and Effective Targeting through Display Advertising, the Role of Search Engine Marketing in an Overall Marketing Mix, Enhancing Reach and Visibility through Search Engine Optimization, Mobile Marketing, Effectively using Online PR, Digital Storytelling among other topics. Module 2, scheduled from 23 to 25 November will focus on Social Media Marketing, and will enable the appreciation of social media platforms such as Facebook, Twitter, Pinterest, Google+, Foursquare, LinkedIn, Slideshare, Quora, etc. This module will also enable participants to track Social Media campaigns by using appropriate Monitoring Tools and using Analytics for effective decision making. Participants have the choice of attending either, or both modules. The world of digital communication is experiencing immense growth and has already become a critical medium of communication. This means new career opportunities for young people. To meet the growing demand for trained talent in this space, Northpoint is launching an initiative to develop resources for this industry. In keeping with it’s unique model, Northpoint will be engaging with leaders in the Digital and Social media industry to make all training relevant and effective through experiential learning. We are here, not just to build a business, but to build an industry. We are delighted to have this opportunity of working with a reputed institution like Northpoint and contribute towards creating a qualified resource pool.